Being a well-established organization, we are engaged in offering a huge range of Construction Pilling Machinery Hydroulic High Pressure Hose Assembly & Fitting. Used MATT-130,MATT-180 & Ather Model etc. our are manufactured by sophisticated techniques & best quality of material in compliance with the set standard of industry. 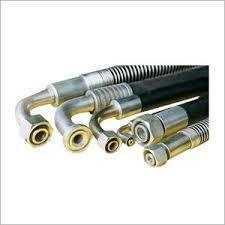 These Pilling Machinery Hydroulic High Pressure Hose Assembly & Fitting. are provided on several specifications as per the requirements of customers. Offered Hose Assembly & Fitting are check by quality controllers in order to supply the flawless supplies at customer’s end. Setup in the year 2006, at Mumbai (Maharashtra, India), we, Bostan Engineering, are eminent name engaged in manufacturing and supplying of a wide range of Hydraulic Assemblies and Fittings. Our offered range of products includes Car Wash Rubber Hose Assemblies, Hydraulic Fittings and Pneumatic Hose Assemblies. Fabricated utilizing premium raw material, our offered hydraulic products is in consistence with set industry principles. Further, these are manufactured under strict quality measures utilizing front line innovation. Bestowed with the features like sturdy construction, precision engineering, superior quality, reliable performance, efficient output and high durability, our offered products have gained huge appreciation by clients. Our Clients can avail our offered product range at moderate prices. We also provide Installation Services of these products to our customers. At our quality control division, our group of value specialists entirely inspects the completed products on set quality parameters. Further, we have adopted the most progressive technique and cutting edge technology to manufacture impeccable range of offered products. With the firm and sole intention of attaining maximum client satisfaction, we have attained to our hierarchical objective of offering subjective items to customers in an effective way. For the safe conveyance of products, we are bestowed with well-developed packaging unit. In addition, our reasonable and straightforward business dealings have helped us win the confidence and faith of our customers, thus, we have made solid business relations with them. Our Clients can benefit our offered products range at moderate costs.